We welcomed back both Dr. Michael Schmidt and Dr. Thomas Goodwin for this one segment 91 minute discussion for their chapter and paper, "Pharmacogenomics in Spaceflight" which is part of the new Springer publication, Handbook of Space Pharmaceuticals. Please note that we did have some mild phone line audio noise and issues with one of our guest lines. We started our discussion with Dr. Schmidt introducing us to the our topic and his and Dr. Goodwin's contribution to the book referenced above. One of the overriding themes of our discussion was the need for more knowledge to better accept the risks of human spaceflight . In addition, the disciplines discussed in this program, Precision Medicine, personalized human spaceflight medicine, understanding genetics and metabolism in space as compared to here on Earth plus much more are fields that are only now starting to be investigated for spaceflight. Much of what was discussed during the first part of our discussion focused on what was happening in these fields, what it might mean for astronaut safety and effectiveness, and how this knowledge might be implemented in the practical sense of human spaceflight. Our guests used many drug examples during the discussion to illustrate their talking points, they talked extensively about finding out if an astronaut had a slow or fast metabolism as a drug, codeine for example, might react very differently for a person depending on their metabolism. One example of this was given later in our discussion around the substance of caffeine. All of this discussion was fascinating and informative and will likely evolve as human spaceflight continues to evolve with a focus on safety and making the sure the crew is able to operate at maximum levels of effectiveness. As you will hear, understanding genetics and metabolism and applying it to each individual crew member since each will be different from the other crew members offers exciting possibilities and potentials for the future of human spaceflight. Other issues talked about included space tourists and commercial astronauts as compared to government astronauts. Our guests applied the same science to the tourists and commercial crew members but note how this was done as missions and expectations will be different. Another subject that came up through a listener email inquired how this type of medicine was catching on in practice for people here on the ground. You will how this new medical technology is now being used for elite groups like SWAT, special forces, and professional athletes. However, as I understood it, the response and demand by general practioners and private sector doctors is slow and yet to be fully realized. Don't miss this excellent part of the discussion. Later, our guests were asked how interested individuals could find available medical services to undergo the genetic and metabolic studies we talked about. I wonder, how many of you listening would do these studies for yourself and family members were they readily available to you? Tell us by posting on our blog. In addition, our guests talked about suborbital flight as compared to orbital or even settlement. They mentioned changes that take place in space such as vascular changes, anxiety along with others. Also, we learned that there were fluctuating metabolic changes for LEO, BLEO, being on the Moon or even Mars or going to Mars. Our guests were asked if any of this could be simulated on Earth. Don't miss what they said about simulation experiments and effort. As a result of our discussion, a few listeners sent in emails asking about real time space people studies. Our guests such studies were needed and they talked about the Twin Study but they made a point of saying said such real time experimentation should be going on even now with ISS crew members. Such studies would facilitate getting more information and knowledge at all levels of human spaceflight. Later, our guests described how one should start doing experiments in real time right now. Ethical concerns were aired as well. We received another email from a listener asking our guests about human genetic modification for spaceflight. Many guests on TSS over the years have suggested this for long duration spaceflight. Don't miss what our guests said about this matter, about CRISPR, and the need for having far more information than we have now. Examples were given that included the 20g centrifuge at Ames, the NASTAR studies plus the experiences Tom cited regarding immunotherapy and changing genes without proper knowledge. Please don't miss these discussions. Michael then talked about gene expression in the Twin Study where about 7% of the genes do not return to the baseline. He said very little was known about gene expression in space and more studies similar to the Twin Studies were needed. BJohn sent in the following question "Hundreds of people have been to space during the last half of a century. What does the hard statistics say about their special pharmaceutical needs? Are you sure that there is a real health hazard other than burning up in the atmosphere because of a hardware failure? I do hope that you base your recommendations on proven experience." You do not want to miss what our two guests had to say in response to BJohn's question. Hint: Being within LEO is one thing, going BLEO and being on long duration missions, well, not much is known about that. Make sure you hear the response o BJohn's question. What do you think? Let us know by posting your comments on our blog for this show. As we were moving toward the end of our discussion, Michael brought up an additional issue based on rodent studies and radiation re the loss of cognitive capabilities. 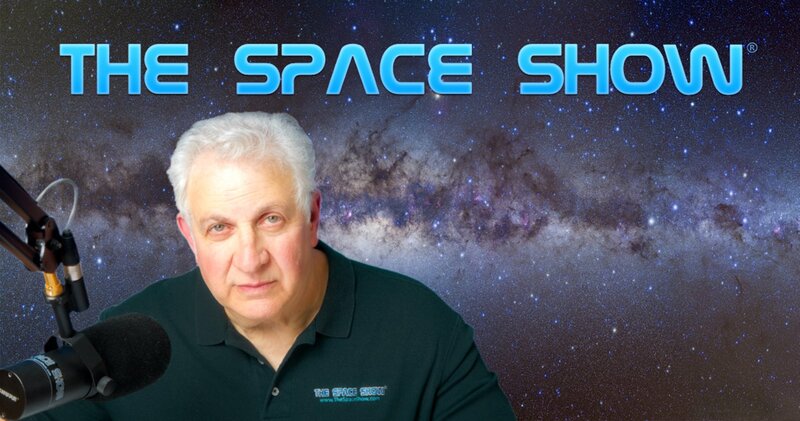 He referred to the work done by Dr. Limoli at UCI who has been on this program (listen to the Dr. Limoli program at https://www.thespaceshow.com/show/07-jul-2015/broadcast-2503-special-edition-0). I brought up the main objections to Dr. Limoli that were expressed at the time of his interview, including b Dr. Zubrin. Critics claimed that the radiation dosage given the rodents over a very short period of time was unrealistic if applied to humans. Our two guests responded to this criticism so be sure you hear what they said. Again, let us know what you think by posting your thoughts on our blog. Other topics included additional drugs and pharmaceuticals in space, even what happens with Tylenol type products. Before the program ended, it was again stressed that to go forward into the future the need for more work similar to the Twin study was imperative. Before we ended, Todd got in a question asking about food nutrition and metabolism in space. Perhaps people would need a customized diet for space based on their genetics and metabolism. Don't miss what our guests said about this, especially iron in the blood and nutrient density. I suspect that the bottom line is that we are just getting started in creating the human spaceflight of the future. I bet that within just a few years, it won't look anything like the human spaceflight we know today and that took us to the Moon 50 years ago. Please post your comments/questions on TSS blog for this show. You can reach either of our guests through me.